Ah. 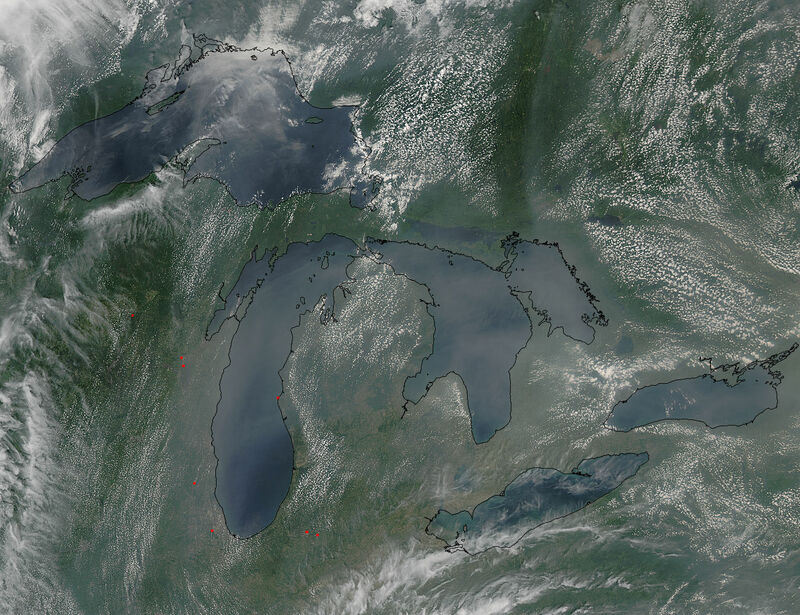 It is smoky over Ontario. Image from NASA. See the article on the Saskatchewan wildfires.